The Full lace wig is 100% full hand tied wig,20" natural Black Color Natural Straight,medium Cap, light Brown lace cap,natural baby hair around.it is easy to care and use. This is a gorgeous Brazilian Virgin Hair Full lace Wig made of the highest quality Brazilian Virgin hair. 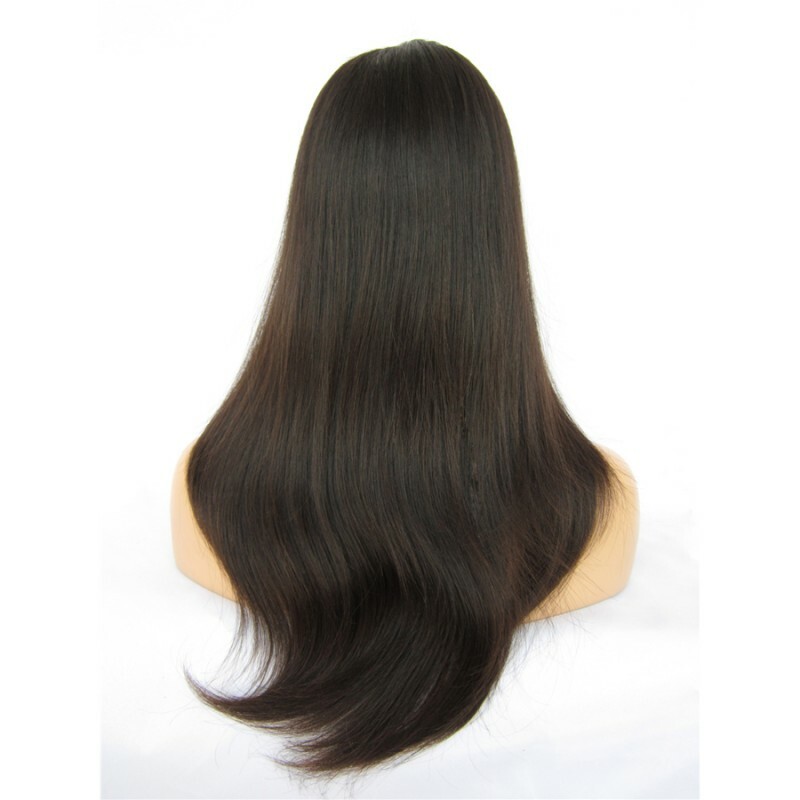 The texture is sleek and straight, it moves and flows freely. The hair dries bone straight and for added versatility you can roller set the hair, when wet, for a curly or wavy look. Silky straight textured hair is very versatile and can be worn in a variety of styles. The cap design of this unit allows for it to worn in a variety of styles. It can be parted anywhere and can be worn in a high ponytail . This hair is amazing. So soft and good volume It’s everything and everyone loves it! very nice thanks loved it will add my review after using it. Love love love the wig. No shedding at all ! Very soft . i have many wigs and this is by far my favorite and the best one. I absolutely recommend this hair! I LOVE this wig!!! I can’t wait to install it! The shipping was SOOOOOO FAST! It was outstanding i will be giving you guys a update when i get it installed! I absolutely recommend this hair! The Hair arrived very quickly. Bill goods very friendly and helpful. The Hair feel very good. Thank You very much. Beautiful hair!!! Except that the hair has some greyhairs. Something I can deal with the hair is really soft and full I love it!!!! I loved the hair. Great color. Great texture. Fits perfectly. Arrived on time. Love this hair so much, I haven't officially worn it the right way yet but from th e moment i took it from the package I was pleased ,it is so bouncy and nice ,no bad smell ,no shedding, and I raked my fingers through it. It's so soft. Length perfect. 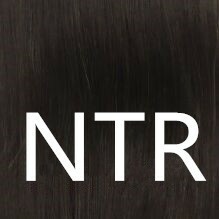 Beatifull hair,nice and soft, it's not tin, just how i like. Very fast delivery!!! I order on friday and get it on wednesday!! thank you very, very,very much! I will order an other one! perfect seller.. within a week i received my hair. I recommend the store.I will order again with you. y'all gotta to get this beautiful wig seriously!!!!!! Very happy with my purchase. It is beautiful! Amazing communication and shipping was much faster than I expected. Will buy from this store again!!! I'm still liking this hair. I love that I can wear it straight or curly. Nice hair. I love this wig. I don't think Ive ever received so many compliments on my hair before.good job! This wig is gorgeous!! It looks exactly like it does in the picture. I am loving this hair. It’s very soft with minimal shredding. It’s worth every penny! I love the wig ! Fix just right ! I just got my hair and I absolutely love it! High quality,it was really amazing . Delivery was super fast ! Wig shipped quickly. I was nervous that I would get it in time. It took less than a week to come it. I was scared to put it on but it exceeded everything I could imagine. I love it. Beautiful hair!!! Except that the hair has little greyhairs. Something I can deal with the hair is really soft and full I love it!!!! This hair is so soft and amazing . Also ships very quickly. I've had it 4 weeks now. Look no further. This is the best unit that I have purchased from this company. Now I have not purchased many different textures, usually straight or the virgin with its natural pattern when wet . But nonetheless , I am ordering again right now . This wig is gorgeous! You don't have to do absolutely anything to it. I just received it and this is the wig straight out of the bag after cutting the lace and putting setting lotion on top. Only thing about this wig is its thin... but it's very natural looking and I love it ! Thanks! I got so many compliments on this WIG. Very happy with purchase! very soft not much shedding, looks and feels great! I got so many compliments on this wig. This wig is great. It's pretty thick and VERY long.You can style it a few different ways to fit your comfort, great wig for an even better price.